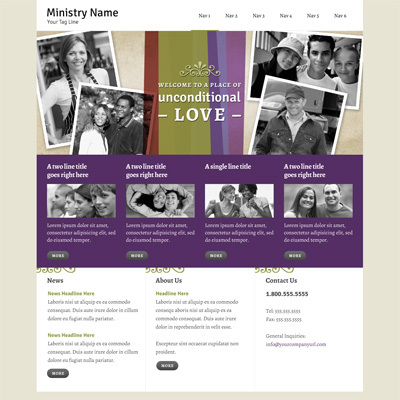 We are pleased to announce a new Radiant WebTools 4.0 template entitled "Unconditional Love"! As usual, all Radiant WebTools 4.0 templates are fully customizable including the ability to change the layout, styles, colors, fonts, etc. Resource files for the new template can be found in the Themes section of your 4.0 Admin Panel. To change your template at any time, login to your Radiant WebTools account and select "Themes".